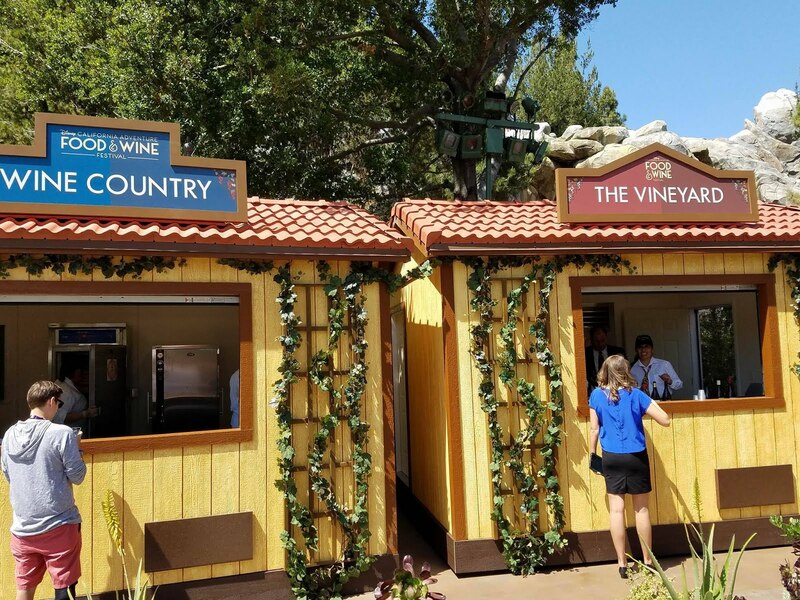 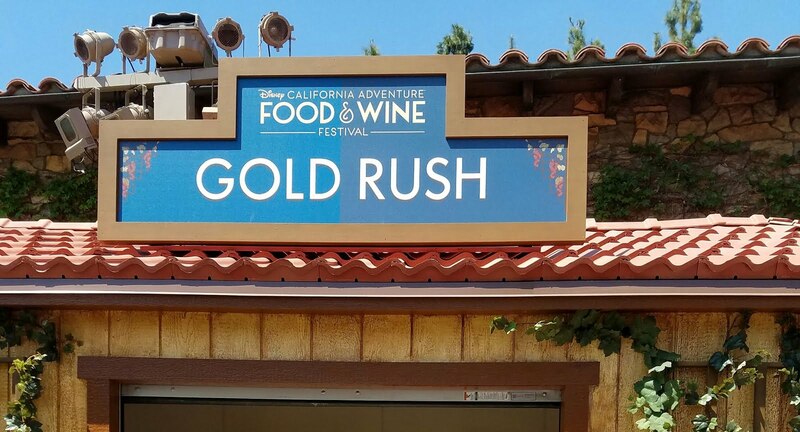 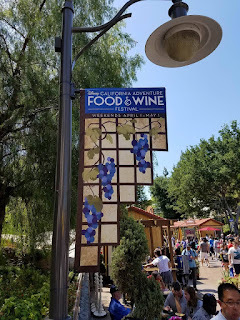 Travel Time : The Food and Wine Festival 2016 for Disneyland's California Adventure! 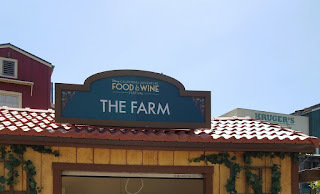 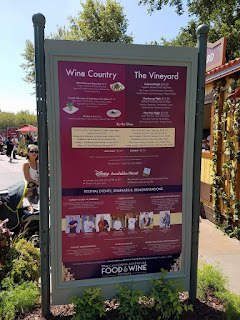 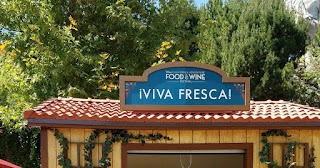 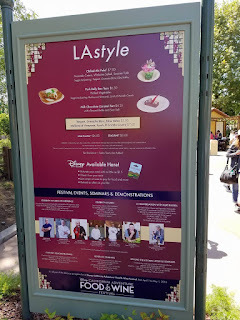 The Food and Wine Festival 2016 for Disneyland's California Adventure! 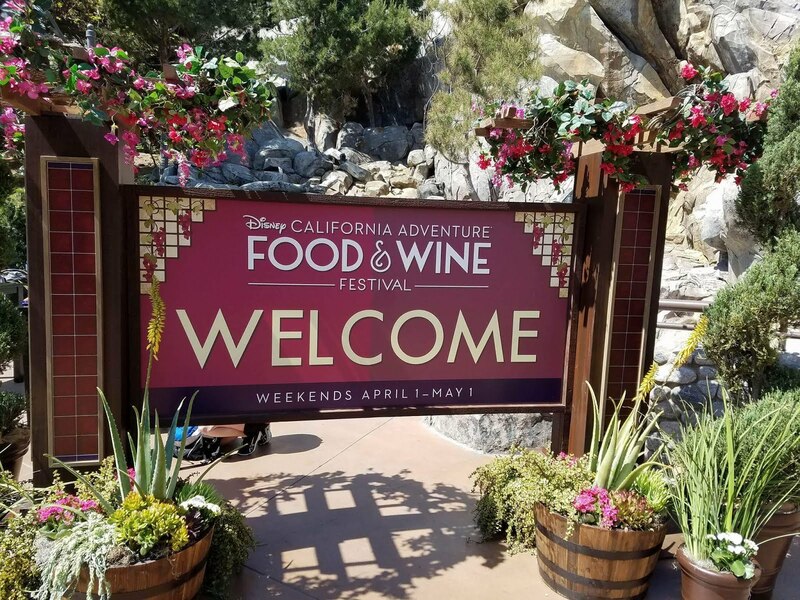 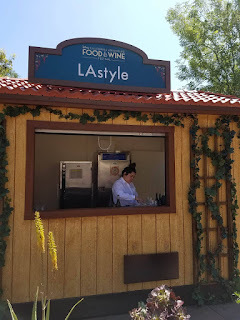 The Food and Wine Festival has begun at Disney's California Adventure Park located in Anaheim California. 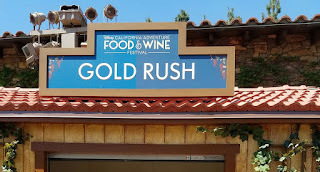 The festival had been discontinued in 2011 when construction of Cars Land began. This year marks the return of the sought after event. I stopped by at opening to check out all the amazing offerings. 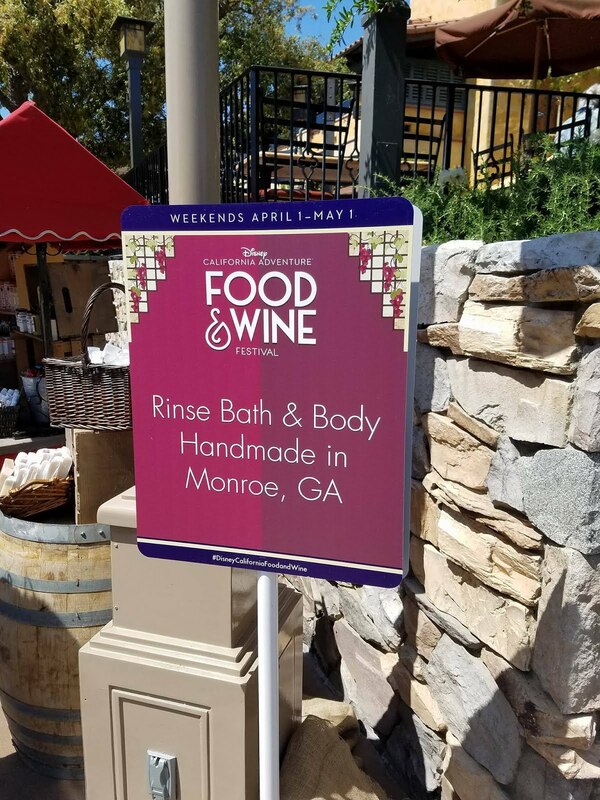 There's a wide variety of both food and wine and even a few stands of luxury bath items. 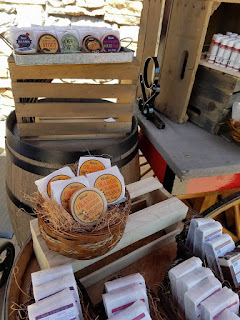 Rinse Bath & Body handmade in Monroe, GA had some eclectic offerings such as Orange Blossom Pilsner Soap and Chocolate Stout Beer Soap. 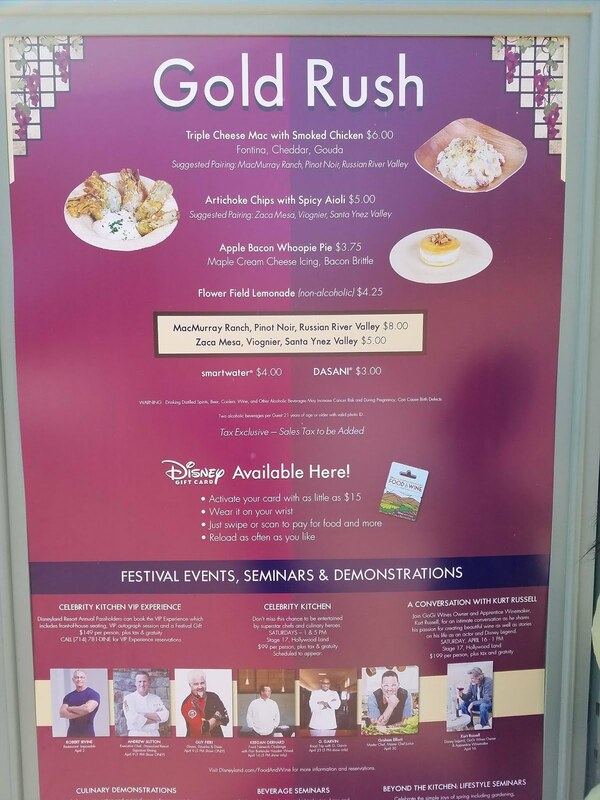 The festival is located at the end of Buena Vista Street. 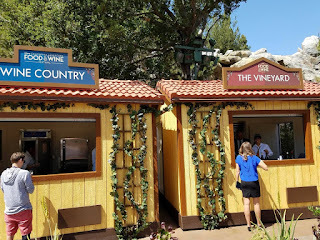 Many little stands are located next to and across from Grizzly Peak Falls. 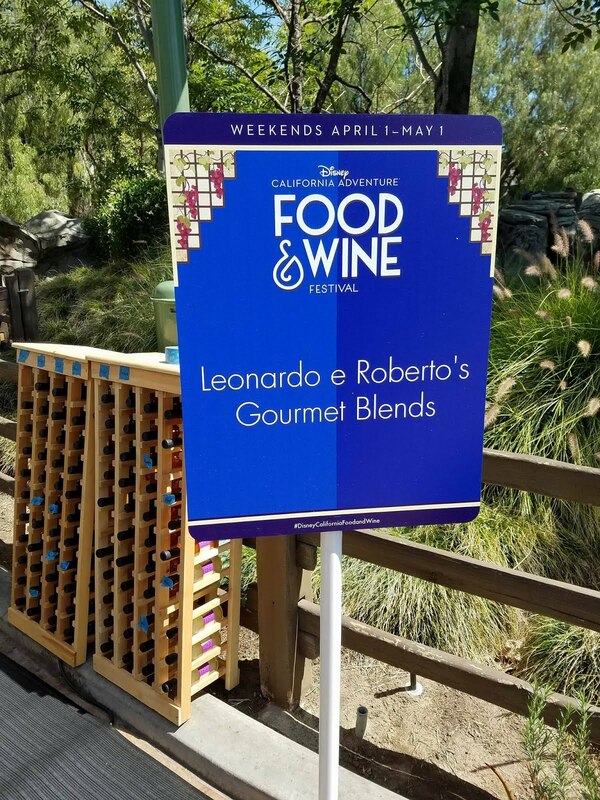 Leonardo e Robertos Gourmet Blends. These,by far were the most amazing Balsamic Vinegar and Olive Oils I have ever tasted. 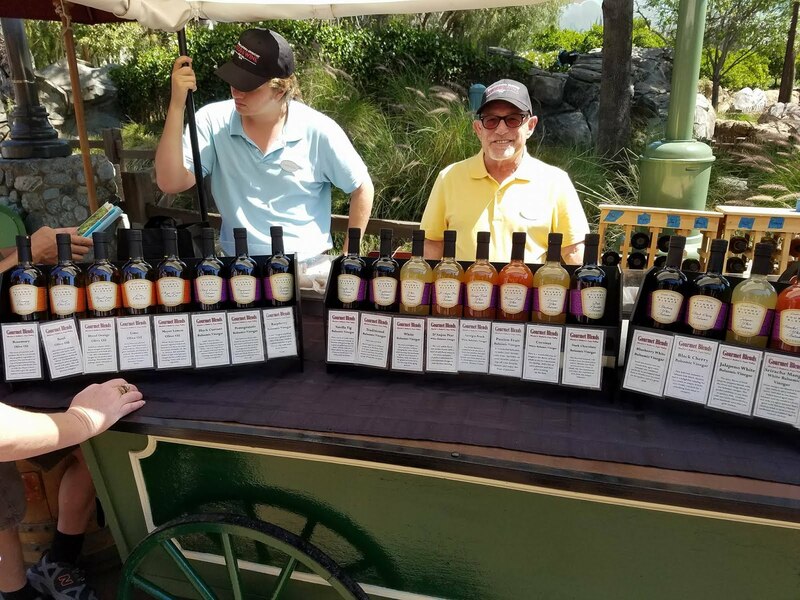 The gentlemen offering the delectable tastes was extremely knowledgeable. 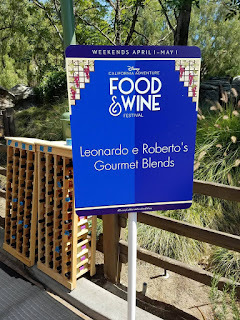 He offered me a sample of Blood Orange Olive Oil and Black Currant Balsamic Vinegar made my taste buds sing. 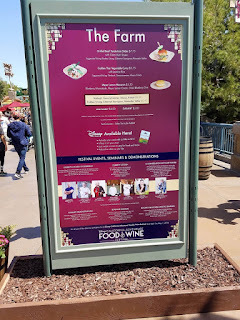 I am looking forward to trying it on a spring salad. My Husband sampled and LOVED the Siracha Mango Balsamic Vinegar it was highly recommend over Salmon and I look forward to preparing that dish with the family. 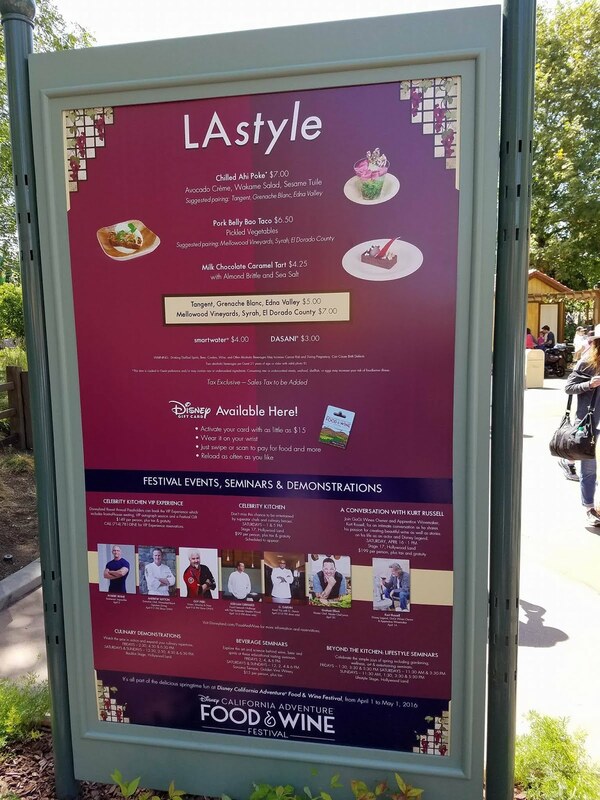 Enjoy checking out the pictures and offerings and let us know how we can help you plan your next trip. 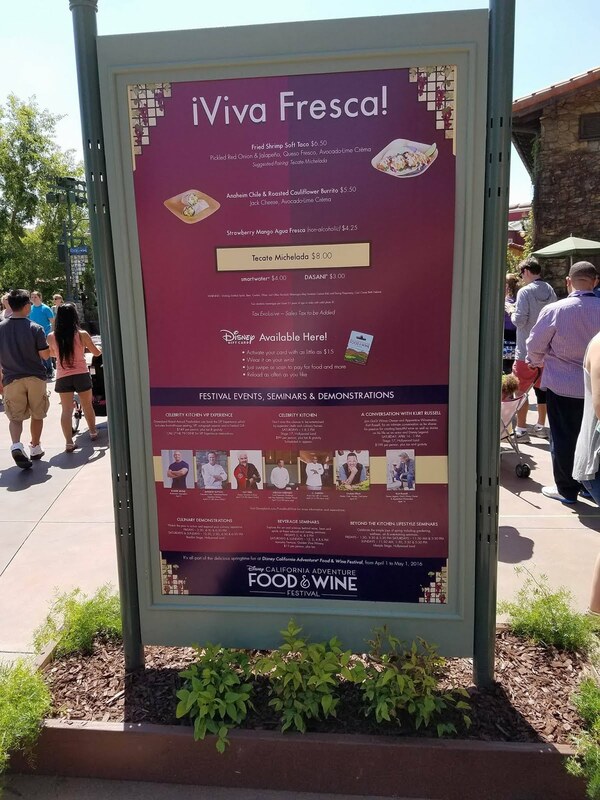 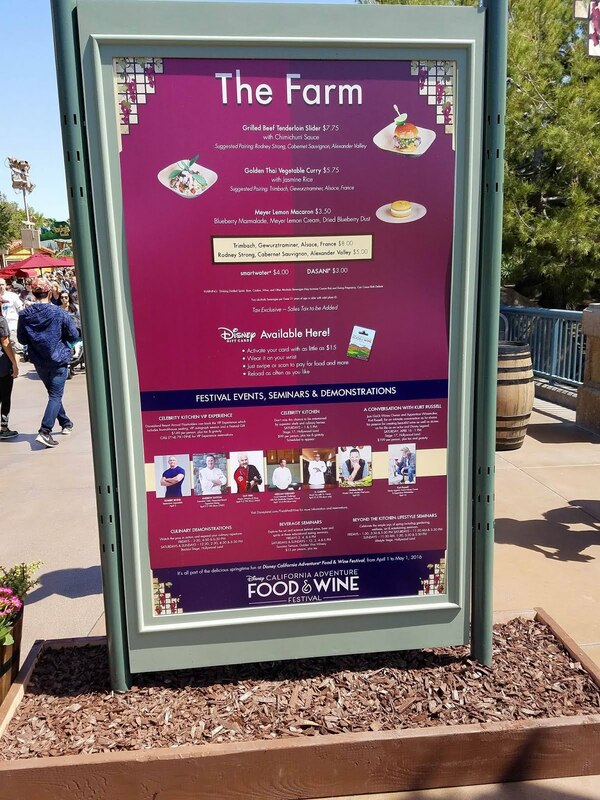 This years Food & Wine Festival should set a precedent to come as Disney listens to their guest suggestions for future events.